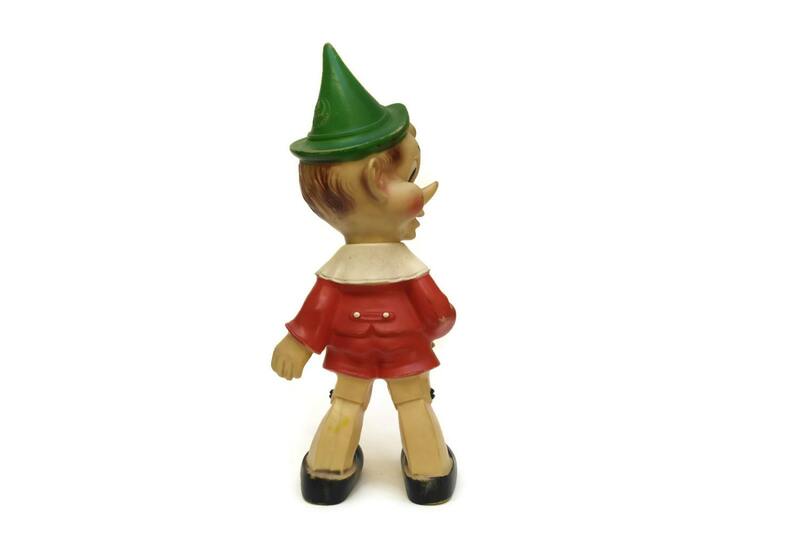 A charming vintage Pinocchio rubber squeak toy dating to the 1960's. 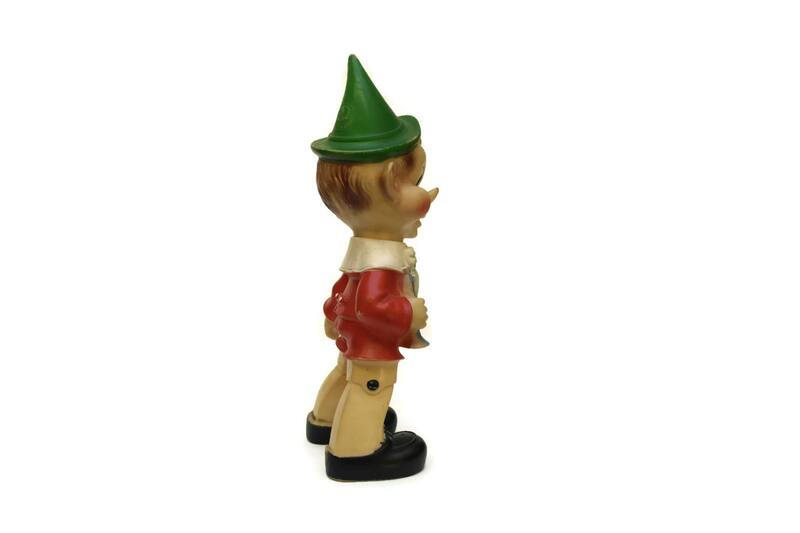 The squeeze doll has been created from hand decorated, molded rubber. 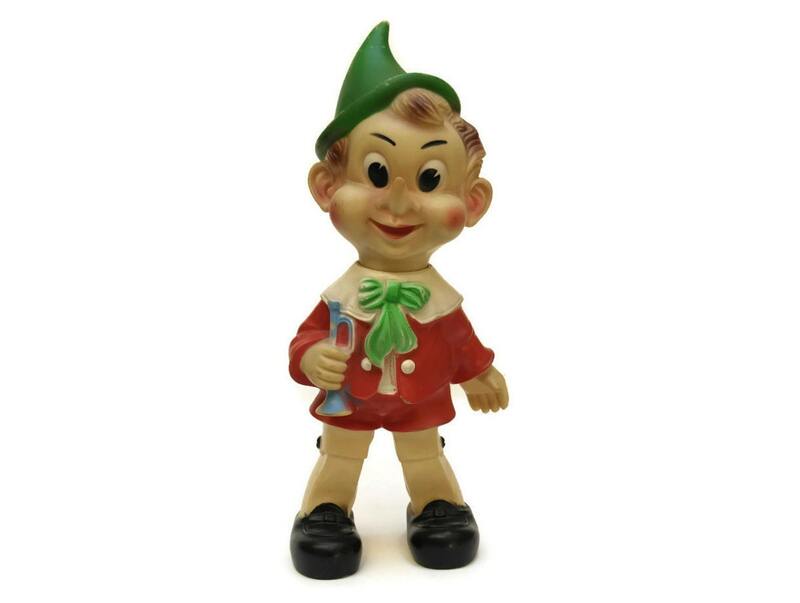 The Pinocchio figure's head can be turned to change position and there is a squeak valve under one foot. 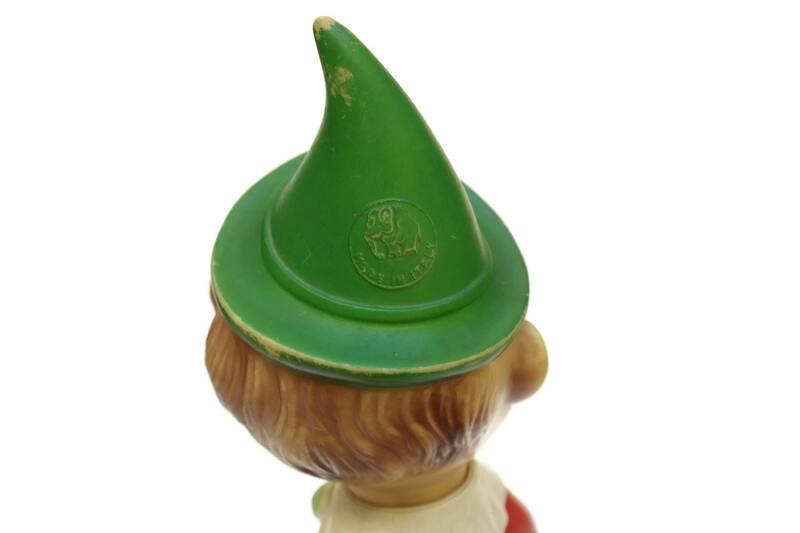 The back of the toy's hat has been stamped with the famous elephant logo of the Ledra Toy Company from Italy. (38 cm x 15 cm). 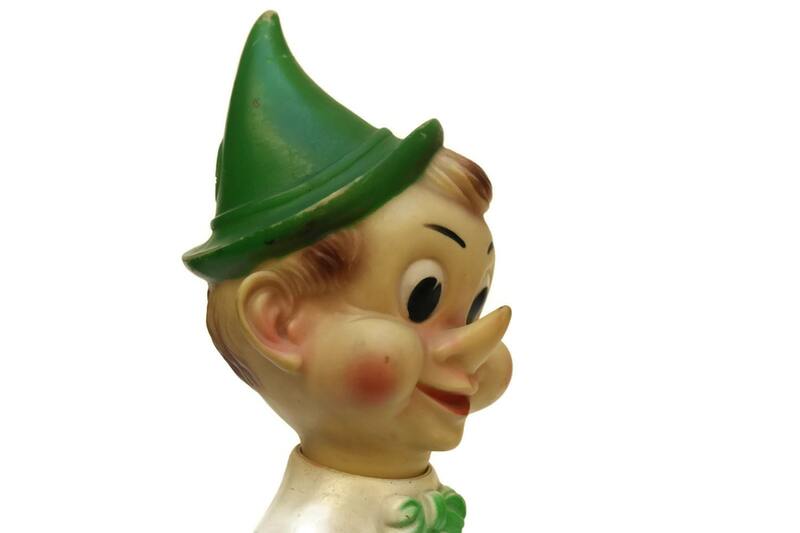 The vintage rubber Pinocchio doll is in good condition with some signs of age and wear including minor paint loss and light surface marks to the rubber. The squeaker valve is in working order.